Imagine a place where the surrounding habitat is all that goes unspoiled. Where relaxation is the number one priority. And you leave here knowing that you have finally arrived. It’s where the Catalina foothills give way to the Sonoran Desert. 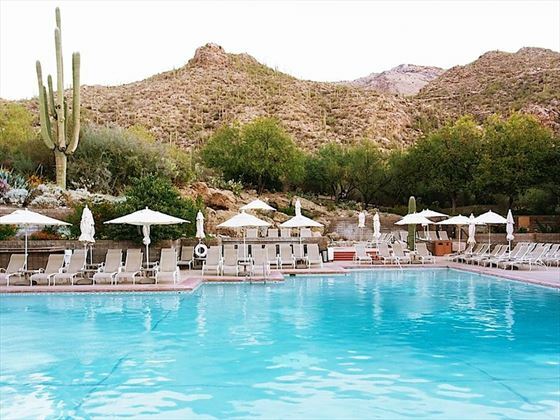 Loews Ventana Canyon Resort is located on a plateau high above the city of Tucson. Its 93 acres reach into the very secrets of the Sonoran Desert. A waterfall cascades 80 feet down from the Catalina Mountains to feed a shimmering lake. Secluded paths and terraces are laced through virgin groves of mesquite, squawbush and blue paloverde. And nearby, rare and elusive wildlife moves undisturbed. It is a superb and sensitive harmony - a distinct desert embracing a unique and beautiful resort. Nearby Sabino Canyon, the Arizona-Sonoran Desert Museum, Old Tucson and Tombstone are available for day trips. 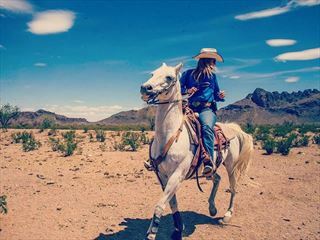 Guided horseback tours of the surrounding mountains and desert can also be arranged. This beautiful resort is located on a remote plateau high above the city of Tucson. This unique location is ideal for those hoping for seclusion.